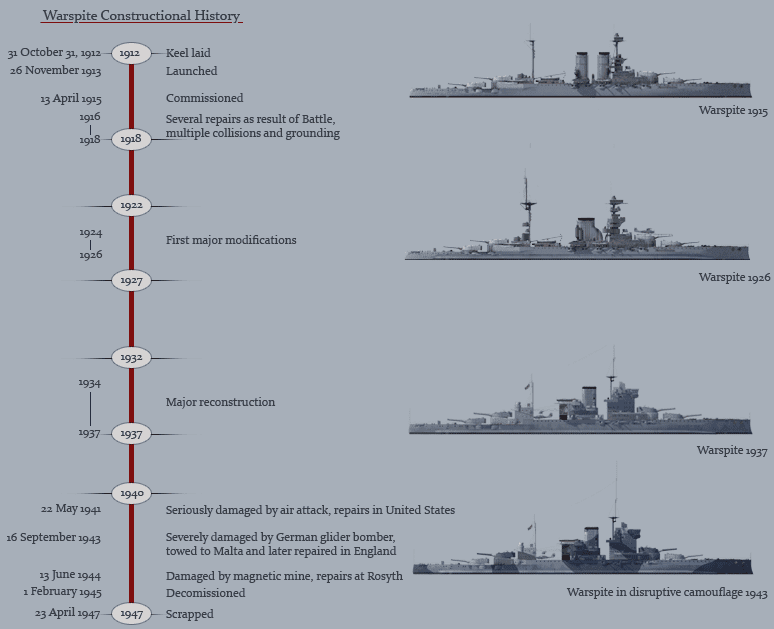 Naval Analyses: INFOGRAPHICS #24: HMS Warspite, Royal Navy's most distinguished battleship that should have been preserved! 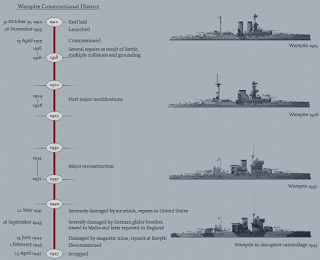 When she was launched in 1913 the use of oil as fuel and untried 15-inch guns were revolutionary concepts in the naval arms race between Britain and Germany, a considerable risk for Winston Churchill, then First Lord of the Admiralty, and Admiral John Fisher who had advocated the design. However, the new "fast battleships" proved to be an outstanding success during the First World War. The Queen Elizabeth-class ships were designed to form a fast squadron for the fleet that was intended to operate against the leading ships of the opposing battleline. 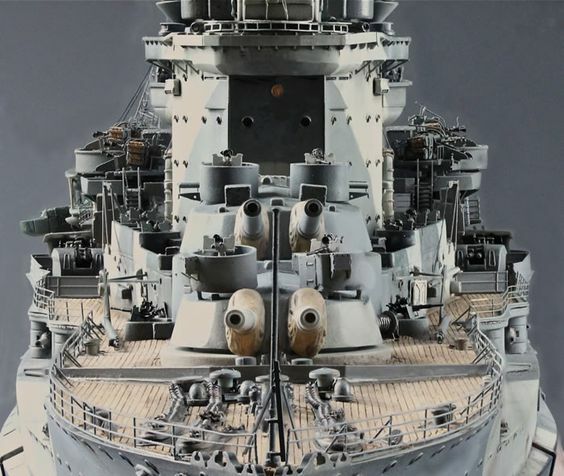 This required maximum offensive power and a speed several knots faster than any other battleship to allow them to defeat any type of ship. 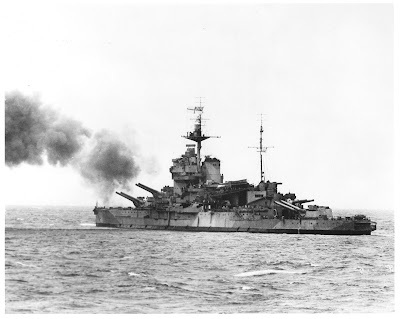 HMS Warspite was refitted twice between the wars, but advances in technology and the cumulative effects of battle damage relegated her to the role of shore bombardment towards the end of the Second World War. Decommissioned in 1945, she ran aground under tow in 1947 on rocks near Prussia Cove, Cornwall, and was eventually broken up nearby. Cutaway of battleship HMS Warspite as she was appeared before the commencement of World War II. An Illustration by J. Walkden Fisher, published on EAGLE, on January 3, 1958. High resolution image here. During her service career Warspite had lived up to her motto, enduring shellfire, bombing, ramming, mines and a guided missile (Fritz X)! However, time had taken its toll and more modern ships were required to continue the war in the Far East. Although there were proposals to retain her as a museum ship, the Admiralty approved Warspite's scrapping in July 1946 and she sailed from Spithead into Portsmouth to have her guns removed. 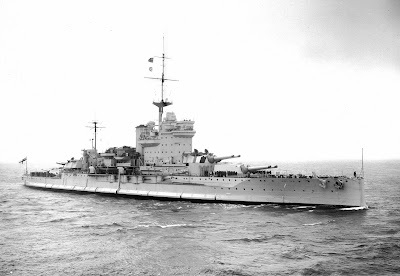 On 19 April 1947, Warspite departed Portsmouth for scrapping at Faslane, on the River Clyde. On the way, she encountered a severe storm and the hawser of the tug Bustler parted, whilst the other tug Melinda III slipped her tow. 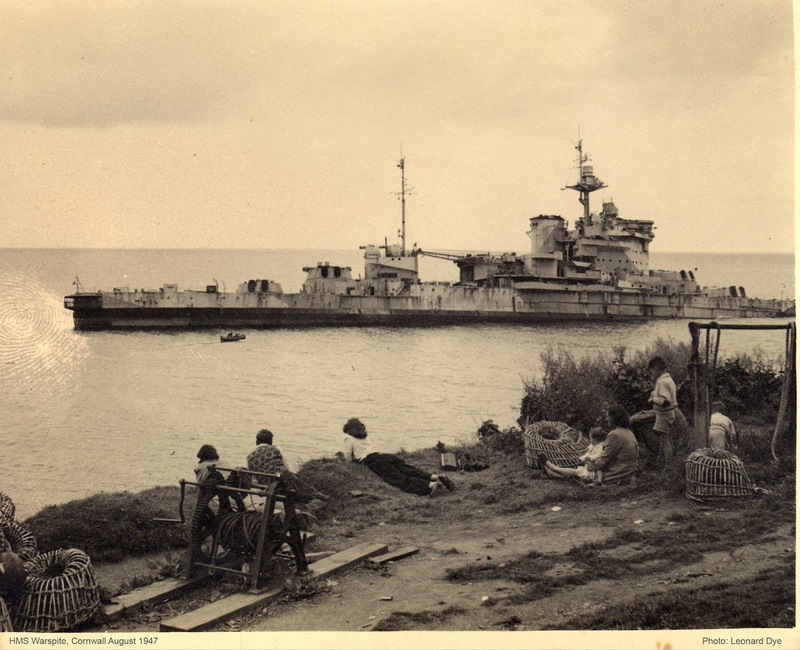 In storm force conditions Warspite dropped one of her anchors in Mount's Bay, which did not hold, and the storm drove her onto Mount Mopus Ledge near Cudden Point. Later refloating herself she went hard aground a few yards away in Prussia Cove. Her skeleton crew of seven was saved by the Penlee Lifeboat W. & S. There were several attempts to refloat her but the hull was badly damaged. In 1950 an attempt to refloat her, buoyed by 24 compressors pumping air into her tanks, and watched by a large crowd, the press and the BBC, failed. There was insufficient depth of water to float her clear of the reef in a rising south westerly gale. The salvage boat Barnet, standing guard overnight under the Warspite’s bows was holed in the engine room, towed off and eventually drifted ashore at Long Rock, a few miles to the west. 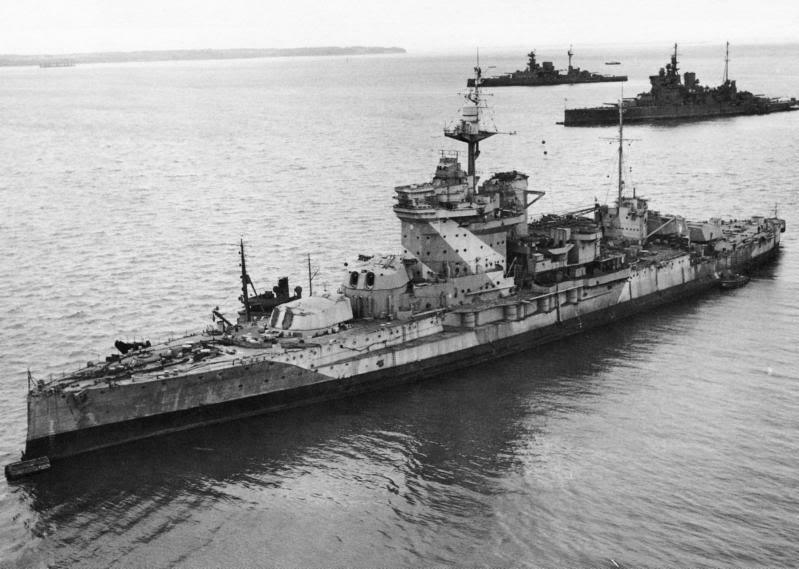 However, by August the battleship was finally beached off St Michael’s Mount and after further salvage another attempt was made to refloat her in November. The Falmouth tug Masterman spent the night on the Hogus Rocks after failing to tow Warspite; and her sister tug Tradesman had 60 feet (18 m) of wire wrapped around her propeller when trying to haul Masterman off the rocks. Aided by her compressor and two jet engines from an experimental aircraft the hulk was finally moved 130 feet (40 m) closer to shore and by the summer of 1955 she disappeared from view. According to the contractors, it remains the largest salvage operation ever carried out in British waters. 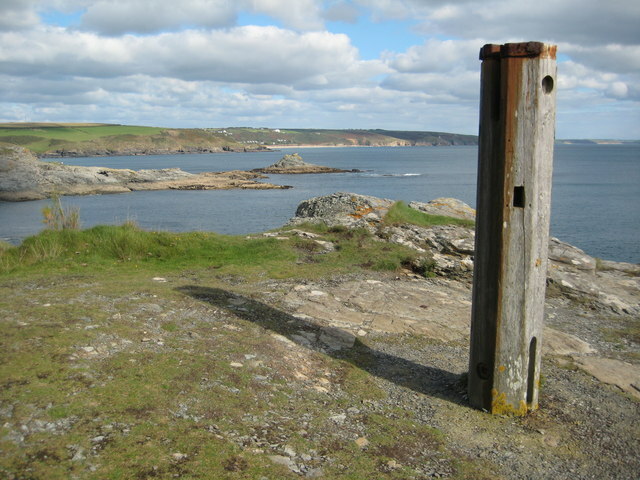 Memorial near Prussia Cove to Warspite. 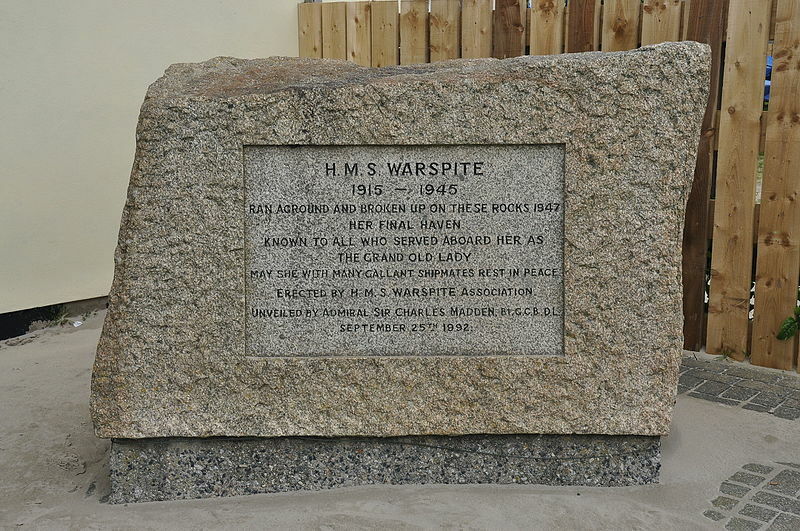 A memorial stone was placed near the sea wall at Marazion and later moved a short distance. The stone was unveiled by Admiral Sir Charles Madden and prayers were read by a former crew member. The remains of the masts lie in the yard at Porthenalls House, Prussia Cove and one portion was erected on a headland, overlooking Prussia Cove. One of her 15-inch tompions is on display in the Royal Naval Museum in Portsmouth. Her nameplate is held by the pub, The Wink, in Lamorna, Cornwall. Her chapel door is exhibited at the National Museum of the Royal Navy's Jutland exhibition at Portsmouth Historic Dockyard. The door was rescued from a seamens' hostel in Falmouth and has been in the possession of the Royal Naval Association since 2012.